Non EU orders VAT free - EU business orders VAT free,when VAT number inserted on-line. 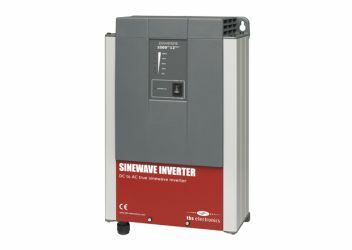 Pure Sine Wave Inverters, Powersonic Batteries, Battery Chargers, Battery Protector and DC to DC Converters. Polyphaser Surge & Lightning Protection. Industrial Modems and Serial Devices. Technical Support - Log in required. 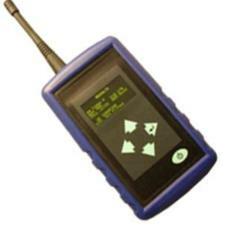 GSM / GPRS modems,Telemetry and data accessories. Stock code - MTCDT-246A-STARTERKIT - P/N:99999116LF. Ethernet Conduit IoT Starter Kit for LoRa Technology, 868 MHz w/GNSS. xDot Micro Dev Kit: MTMDK-XDOT-EU1-A00 (includes 868 MHz xDot)"
Quickly get your LoRa proof of concept up, running and connected to the cloud. The FX30 is the industrys smallest, most rugged programmable 3G cellular gateway. Providing an integrated, secure embedded application environment, tightly integrated with the cloud, the FX30 enables swift, scalable and global deployments of IoT applications for any connected machine or infrastructure. Highly Programmable: Provides secure Linux-based embedded programming environment to build custom IoT applications at the edge. Small & Rugged: Purpose-built to fit into machines and infrastructure equipment, and meets harsh industrial environmental requirements. Global & Scalable: Reach the global 3G/2G market with a single product, and scale to LTE with full hardware and software compatibility. Extensible: Comprehensive built-in interfaces to connect easily to any system, plus flexible hardware expansion with IoT Connector. Accelerate time to market: AirVantage IoT application enablement allows device-to-cloud solutions to be deployed in record time. 4G/3G/2G Signal Test set - supplied with antenna and power supply. Now replaced with the new model BM-03039R. 2G - Quad Band - 850/900/1800/1900 Mhz. Power consumption: Mains 50ma (operation and battery charging. Supplied with 5 metres of cable and SMA male connector. The AE.PARED_B12 enclosed 12dBi YAGI is a rugged wall mounted GSM / GPRS / 3G/ 4G Antenna, is specifically designed for use in remote areas with poor signal coverage and where a directional link to a single transmission station is desired. The AE.PARED_B12 is an enclosed YAGI, is suitable for LTE/4G networks to 2.6GHz, is constructed using UV resistant ABS and is supplied with an adjustable white epoxy resin coated metalic wall mounting bracket. An SMA Female connector is sited directly at the base of the antenna. Gemalto BGS2T RS232 Industrial Terminal Starter Kit (Cabinet Installation). Replaces the MC52i and MC55i Modem Cabinet Starter Kit. MultiConnect® rCell 100 HSPA - European Market - MTR-H6-B16. P/NO - MTR-H6-B16-GB and MTR-H6-B16-EU. STD32 Quad Band Module with IP connectivity (Worldwide coverage). Supplied with 1/4 wave rubber antenna. The STD32 can easily be used as an alarm system, to open garage doors, for fluid level control, temperature control, or to receive pictures in alarm situations,or on request. STD32 is the perfect device for remote monitoring and remote switching via your mobile phone or internet. Additionally the STD32 now also offers a camera interface (accessory part). With the help of the Telic Camera (accessory) you can get digital pictures via e-mail, in alarm situations, or on request. Alternatively you can always retrieve a picture via the webinterface. To be able to use the E-mail functionality your SIM Card needs to have a GPRS subscription. To use the webbrowser functionality the SIM Card needs to have a fixed IP address. .
Powersine 1000 Watt, 24 Volt DC Input , 230 Volts AC Output, Pure Sine Wave Inverter (PS1400-24). Follow us on Twitter. LinkedIn Profile.